If I remember correctly, I think we left Kastro stopped some minutes later and the cars were parked at the top of the road where a pathway went down on the right handside there was not attempt to take cars down the pathway. Thank you Delboy. Your photos are beautiful but they've made me feel "homesick" for Thassos. We will have a little adventure even if we don't find the waterfall. Roll on Summer! Good advice and photos, Delboy! Ask a local to show you the way once you're at Kastro. It's a very short distance from the village and would be a real shame to not see it if you go as far as Kastro! You'll need a jeep to drive down the path. I wouldn't venture down in a road car. I've done the trip with a jeep (3 times) and had no problem at all. 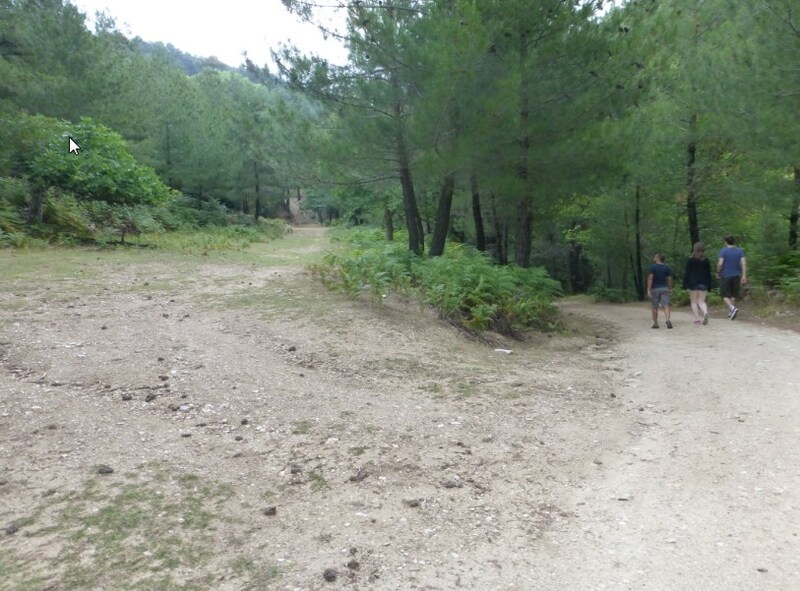 You could also walk from Kastro to the waterfall but in July/August it's more challenging because of the heat. Depending on your age and health, decide for yourself if walking is a good option (carry enough of water if you do). The same walk in other times of the year, like May or June, is absolutely glorious. The temperatures are milder and there is more water to see coming down the waterfall than during the hotter, drier months. PS. My favorite thing to do when in Kastro is going to one of the two cafe/restaurants and enjoying a very generous serving of creamy local yogurt topped with honey and walnuts - YUM! Thanks for all your help both!